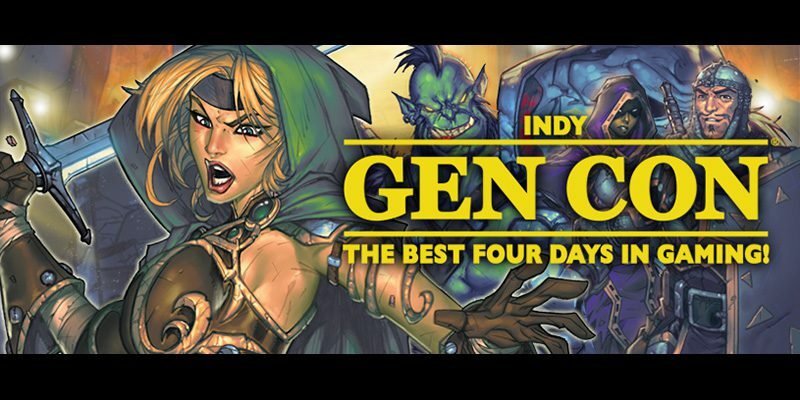 The Gen Con Event Registration started yesterday, and was a giant gathering mass of digitally connected people scrambling to push their wishlists through first, and secure tickets for their favorite events. The site was open to Wishlist building last week, and that allowed everyone to start to research and plan out their events. For me? I mixed up the dates and thought it started Monday. (facepalm!) So I was 2 1/2 hours late to the party. But somehow I was still able to register & purchase tickets for the events that my group wanted. I guess I got lucky, but there is a 2 hour limit on holding events in your online shopping cart after wishlist processing. Maybe being 2 hours late might have been good timing on my part to scoop up dropped events. And if you didn’t know, Rich Howard is going to Gen Con 2015 too. I bet he got all the tickets he wanted, and didn’t forget about wishlist processing like me. You can still check events and register to attend. And there are going to be new events added. As Gen Con said on Twitter, “If you don’t get into every event you would like, more tickets can become available post-Reg. Also, Gen Con still will be incredibly fun.” I agree. Since the Event Catalog went live last Monday, attendees have created thousands of Wish Lists for the opening of Event Registration, taking place this Sunday, May 17 at noon (Eastern). If you have yet to do so, you can create and modify your Wish List at gencon.com.Important Note: You must have a Gen Con 2015 badge in your account BEFORE you can build your Wish List and get tickets for events. Attendees cannot purchase badges and tickets in the same transaction. On Sunday, when Event Registration begins at noon (Eastern), you can submit your Wish List at gencon.com. Submitted Wish Lists will process in the order that they are received. You should arrange the events in your Wish List, putting your most desired events at the top. Remember, you can have up to 50 events in your Wish List. After your Wish List is processed, your tickets will appear in your cart and you will need to complete your transaction within two hours to reserve them. It may take up to an hour to receive your email confirmation receipt, given the anticipated volume of Wish Lists. Tickets will be bundled with your badge in your packet, which will be shipped to you or available at Will Call, based on your chosen fulfillment method. Generic tickets will go on-sale after all Wish Lists are processed on Sunday, May 17. The Event Catalog currently features more than 12,000 events. Late-submitted events will be activated throughout the summer, when possible. Some events will have their placements finalized by June. 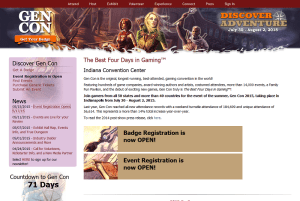 It is important to note that event information is subject to change, so make sure to check gencon.com to review your information prior to the convention. 3) The all-new Beta Event Finder. (Updated in real time) This new tool is intended to be faster and more efficient than the traditional search tool, and is currently available for you to try out. Want to learn more? Click here.